Just in time for this month make! 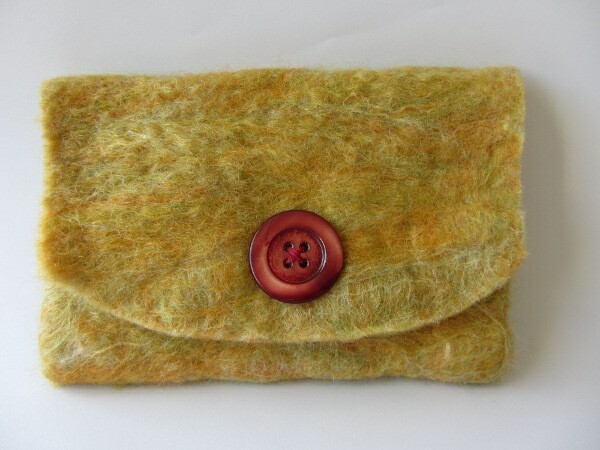 I made a little pouch with wool I have felted myself at home. Outside is made of mixed colour wool and inside is fine white fibre. I trimmed the borders in such way to get the inside to show a bit. The outside is not fully felted I think but it gives a nice fluffy effect. 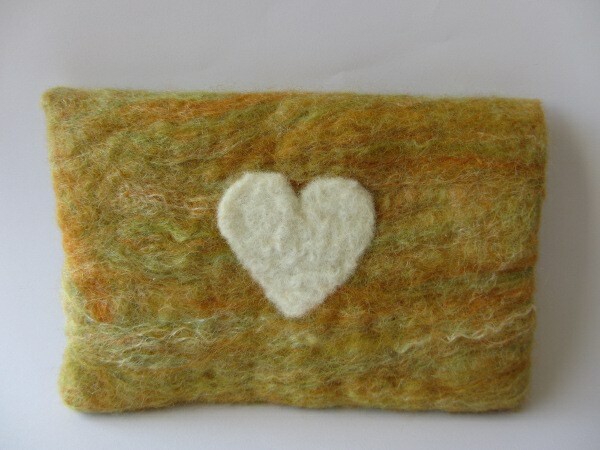 At the back is a love heart cut out of a pre felted piece. 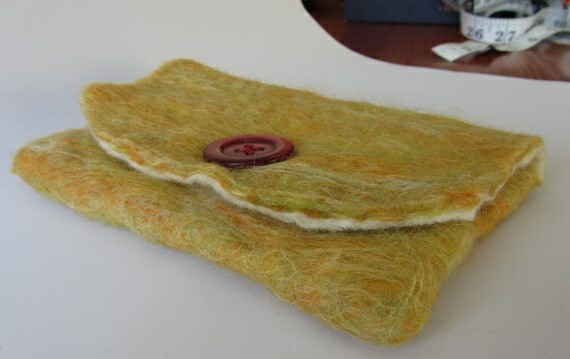 It holds to the pouch thanks to the felting process. The magnet fastening is hidden with this lovely red button I found in my stock of family vintage buttons, brought to me by Santa. I made this project after I have attended a workshop held by the lovely people from Feltmakers Ireland which I highly recommend. Even if you don’t want to become a professional felt maker it is good to know how wool fibre behave and what the felting process involves. Here are some pictures I managed to take before my daughter claimed the pouch. You can see more photos on the challenge Fickr group, as well as pretty things made by other participants.